The united nations was formed so that the countries which are a part of the Nations collaborate with each other and make the world a better place. For such collaboration, regular boundary spanning is needed. 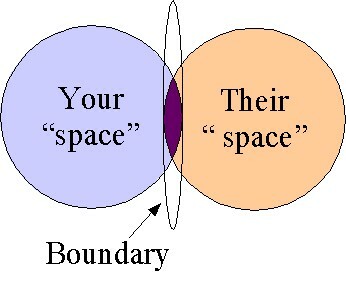 Boundary spanning is a term wherin you pass the boundaries set for you, for a greater good or do get some work done. In business, boundary spanning is when you cross the boundaries set by your organization, and collaborate with someone else to get a task done. There are many examples over the years where boundary spanning has occured so that both companies have benefitted. The term boundary spanning was coined after world war 2, and it was found that most of the companies benefitted when they exchanged Intel. The growth was faster and more efficient when boundary spanning was applied. There are 3 ways that boundary spanning can be used by an organization. 1) Within the department – As an individual, you can contact a different individual from the same department to solve a problem. Example would be a sales guy contacting a senior sales guy to solve an issue. The boundary here is just the difference in their levels within an organization and such boundaries should anyways not exist. 2) Within business units – There can be information and resources exchanged within strategic business units. A most common example is that advertising and marketing costs are generally bourne by different business units of an organization. These units then co ordinate within themselves to use the budget appropriately. R&D might co ordinate with sales, product management might co ordinate with service, so on and so forth. RELATED TOPIC What is Sponsorship Marketing? 3) With other businesses – Many a times i have seen that boundary spanning is done when two different businesses want something in common. For example, if 2 businesses have the same customer and the customer wants something unique, then the businesses can collaborate within themselves to give a better solution. Same ways, cooperative advertising is a term wherein 3 different business entities are marketing. One point which is most useful for organizations is that boundary spanning is literally a requirement when you are looking for holistic marketing. Holistic marketing means that the marketing manager is trying to present a united front to the customer. He is trying that each and every customer touch point is excellent in its response and it is building the brand for the company. A holistic approach for an organization can only be achieved through boundary spanning. In an organization, if you want to measure performance and growth, then boundaries will have to be made. But you have to span them from time to time to become a better organization.